Don Mungai with Sister Rita Dean and Sister Adrienne Piennette, Ida Mungai, Dr. Jennie Jet Medical Co-Director of Acute Rehabilitation Unit, and Dr. Nanette Mickiewicz, Dominican Hospital President in the Acute Rehabilitation Unit Dining Room. 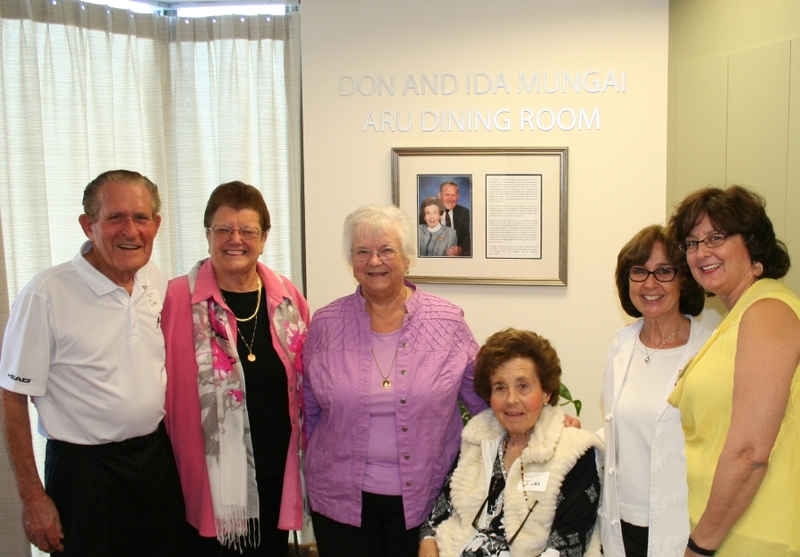 Don and Ida Mungai gave a generous $250,000 gift to name the Dining Room at the Acute Rehabilitation Unit at Dominican hospital. “I have very much appreciated the care I have received from of the nurses and doctors at Dominican,” says Ida. Both Don and Ida were born in Santa Cruz. They were high school classmates at Santa Cruz High and married in 1954 at Holy Cross Church two weeks after college graduation. It has been over two years since the new Acute Rehabilitation Unit opened its doors on the main campus at Dominican and, ever since, the unit has been full.